Travel is an activity that everyone can agree is enjoyable. However, different people enjoy travelling to various destinations for completely different reasons. This article will provide you with some insight into what the best holiday locations are for book lovers. Whether you want to curl up with a book or you want to visit a city around the world that was home to many famous authors, there are plenty of destinations that you can choose from. Perhaps you want to lie on the beach while reading a good book, or you want to explore some small and unique bookshops in a foreign town. No matter what your bigger purpose here is, these are the best countries that are known to attract book lovers from all over the world. One thing is for sure; you will never forget your experience in these cities! It shouldn’t come as a surprise that England is on the list for top holiday locations for book lovers. Think about all of the famous English authors that have lived in this country, whether it’s Jane Austen, Shakespeare, Charles Dickens, Oscar Wilde, George Orwell, Lewis Caroll, among countless others. On the other hand, the various cities within this country all have a vast number of beautiful bookshops that are waiting to be explored. If you are an avid reader, or you want to catch up on some of your reading, perhaps you will want to consider going on a holiday where you can lie low and read your books. Often, beach destinations, especially during the summertime, are the perfect locations to do this. Take the example of Cyprus holidays, as this is a country that will allow you to be surrounded by beautiful landscapes, and it will be the perfect environment for you to relax and read, without having to think about anything else. Scotland is yet another destination that will provide you with the perfect environment to catch up on some reading. Also, don’t underestimate the quaint bookstores that Edinburgh has to offer. If you are already a book lover, there is no doubt that you will fall in love with the bookshops this particular city has to offer. France has so much more to offer than beautiful architecture, good music, and delicious food. It’s yet again one of the perfect countries for book lovers that want to go on holiday. For starters, there are many independent booksellers that you can find all over the country, and you are bound to discover some real gems in these shops. Aside from purchasing a few books, sitting in the French countryside, or even in one of its more bustling cities, is sure to help you relax and start reading. Aside from its bookshops and the beautiful cafes, Germany is also home to Brother Grimm’s fairy-tales. These stories have been used as the inspiration for children’s movies for many years now, and they continue to be seen as treasured stories that add a lot of value to people’s lives. What book lover wouldn’t want to visit Germany, as it’s the home to these stories, among countless others? Imagine reading a book while surrounded by the scenic views of the Italian countryside, or while sitting down at a quaint restaurant somewhere around the corner. Plus, the hidden bookshops you can find in various cities across this country are simply unparalleled to anything else. Porto is known to have been a city that has inspired many famous writers, with J.K Rowling being one of them. It’s no wonder, considering the sheer energy that is found within the streets of this famous city. The same can be said for Lisbon, among countless other areas in this country. 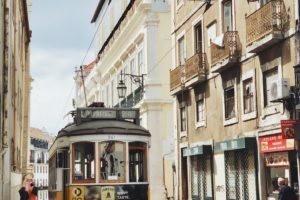 Book lovers may soon feel a creative surge to start writing themselves after visiting Portugal on holiday. Did you ever stop to consider China as a much-visit location? It hosts some of the most amazing bookshops in the world, and they are also incredibly massive. Any reader will fall in love when stepping into Yangzhou Zhongshuge, as one example. Did you know that Argentina is the bookshop capital of the world? In fact, Buenos Aires has more bookstores than any other place in the world. If this isn’t enough to draw a book lover to it, what is? You likely won’t even know where to start when it comes to what bookstore you should visit first! Every single country offers something unique to book lovers, and it’s vital that you go on holiday to where you feel most drawn to go. Do you feel like you want to spend some time buying new books, reading in nature, or do you want to start writing yourself? All of these different situations can affect the plane ticket that you book for your upcoming holiday. Still, keep in mind that time spent reading, especially when you are in a foreign and beautiful city, is always time well spent. Many who find themselves reading many books will often feel a surge of creativity to start writing themselves, but only if they are in the right environment. First of all, it’s important to note that surrounding yourself in a new environment by going on holiday will change how open-minded you are, and this can serve the higher purpose of inspiring you to read more in the first place. Sometimes, life can get in the way of allowing you to always stay up to date on the latest book that you’ve been meaning to read. Holidays, on the other hand, is the perfect opportunity for you to catch up on some reading. Taking this even a step further, travelling to specific destinations, such as the beaches in Cyprus or exploring the streets of England, is bound to excite any book lover to start writing. Some of the locations mentioned here are guaranteed to put an indefinite smile on your face, should you get the chance to visit them.